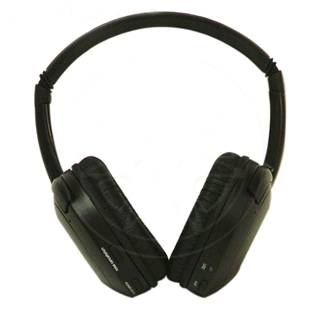 Offer the ultimate in sound entertainment with these noise canceling headphones. They help lessen road and engine noise, providing a movie or concert-like listening experience. Each set is wireless with dual channels and volume control. These headphones are a competitively priced solution for anyone requiring additional or replacement sets, are co-branded with KOSS and carry a Lifetime Limited Warranty. Two AAA batteries are included with each set.